We control our skis through a combination of edge, rotation and pressure but the degree to which we combine these elements can be limited by our own flexibility, so it’s a good idea to include a few basic stretches into your routine in the run up to your holiday. Tilting onto the edges of our skis requires a degree of flexibility in the hips that isn’t needed for the daily commute to the office but is essential to progress in ski ability and performance. Stand with your legs crossed, left over right as shown. Reach down towards your right foot with your left hand, while crunching your left rib onto your left hip. Repeat for the right side. For this you will need a wall or a table to lean up against. Steadying yourself with your right hand, bend the left knee and extend your right leg underneath you. You will feel the stretch in your right hip. Repeat for the left side. When it’s time to carve it up on the slopes, these two stretches will ensure you have all the edge you need. The ‘hover’ is an essential life skill for those moments when we really don’t want to sit down but it’s also an excellent way to hone your ski posture that will hugely benefit your performance on the slopes. Practice this at home and turn every trip to the bathroom into a morale boosting mini ski break. Jonathan Beale returns to Afghanistan for the BBC and reports on the recent three day ceasefire in Kabul when Taliban fighters and Afghan National Army soldiers posed together for the cameras. Despite a recruitment crisis in the Afghan National Army, with some units 70% undermanned, Senior NATO commanders see this as progress and evidence that ‘the strategy is working’. Lt Gen Richard Cripwell, the most senior British military officer in Afghanistan, describes it as an “extraordinary moment”. Are we still doing the same thing over and over again and expecting a different outcome? Chris Green is a former soldier and businessman. In 2012 he spent nine months in Helmand Province Afghanistan as a member of the International Security Assistance Force. 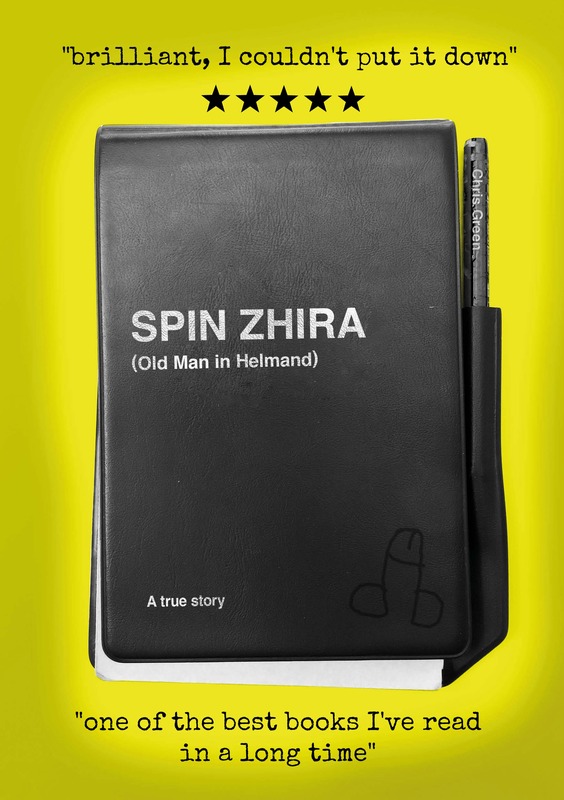 He subsequently authored a critically acclaimed book, SPIN ZHIRA: Old Man in Helmand, A true story of love, service and incompetence. He regularly blogs on defence and current affairs issues. Our political leaders will always find the time to parade in front of the media at the Cenotaph on Remembrance Day, just as you can be sure to find your own MP standing at the local war memorial as the clock strikes eleven. However, when it comes to debating and formulating veterans policy it’s a different story. On the first day of what is Armed Forces week, parliament debated the ending of historical prosecutions of armed forces veterans. None of the party leaders felt the need to attend and only one Labour MP wasn’t doing something else. All the Lib Dem and SNP MPs were washing their hair or otherwise engaged. While more than 50 Conservative MPs showed up, including Mark Lancaster the Minister for the Armed Forces, his boss Gavin Williamson the Secretary of State for Defence was not among them as you might have expected. And if you thought this was just a one-off you’d be wrong. In March 2016, MPs were asked to debate “the complete vacuum of provision” of care for service veterans returning from Iraq and Afghanistan. On that occasion only 12 Conservative Ministers bothered to turn up. Of course, later the same year all the usual suspects were on parade at the Cenotaph, just as they will be again this year. Our Service Chiefs appear to have let Gavin Williamson know what they really think of him by leaking his cringe making boast from a private meeting to the media. Meanwhile, former head of the army, Lord Dannatt helpfully comments that he fears Williamson ‘could be forced to resign over the issue’. It looks to me like a complex ambush with multiple firing points. Even before the excruciating interview with Richard Madeley, I doubted whether Williamson, or Private Pike as his cabinet colleagues prefer to call him, was really up to the task of Secretary of State for Defence. His pronouncement early in his tenure that “a dead terrorist can’t cause any harm to Britain” not only underlined the fact that Mr Williamson has no first hand experience of killing terrorists himself but also served to expose his naivety and inexperience. It would seem that, in the intervening weeks and months, he has failed to grow into the role and the Service Chiefs are now cutting him loose. It’s going to make for an interesting Monday morning on the fifth floor of the MoD main building. Unfinished business or ancient history? 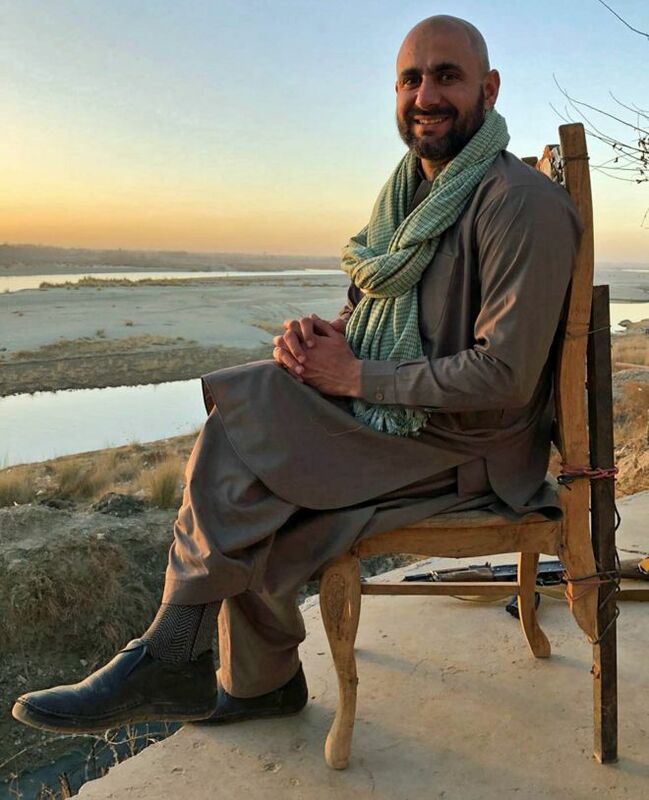 Reporting for the BBC from Kabul, Auliya Atrafi explains why so many of his fellow countrymen blame the British for everything. He tells us of a persistent rumour that ‘the hand of the British is behind every evil in Afghanistan.’ It is a widely held belief that I encountered again and again in Helmand Province. Britain has suffered some of it’s most humiliating military disasters at the hands of Afghans, most notably the destruction of Lord Elphinstone’s army in the 1842 retreat from Kabul and the 1880 Battle of Maiwand, an engagement which took place 40 miles east of Lashkar Gah, the British headquarters of Task Force Helmand from 2006 – 2013. Many Helmandis’ forefathers had a hand in the British defeat at Maiwand and earnestly believed that Task Force Helmand had returned, 126 years later, to avenge the 969 British and Indian troops who died there. By contrast, most British troops were unaware of the battle and, for those few who did, its significance was dismissed as ‘ancient history’.